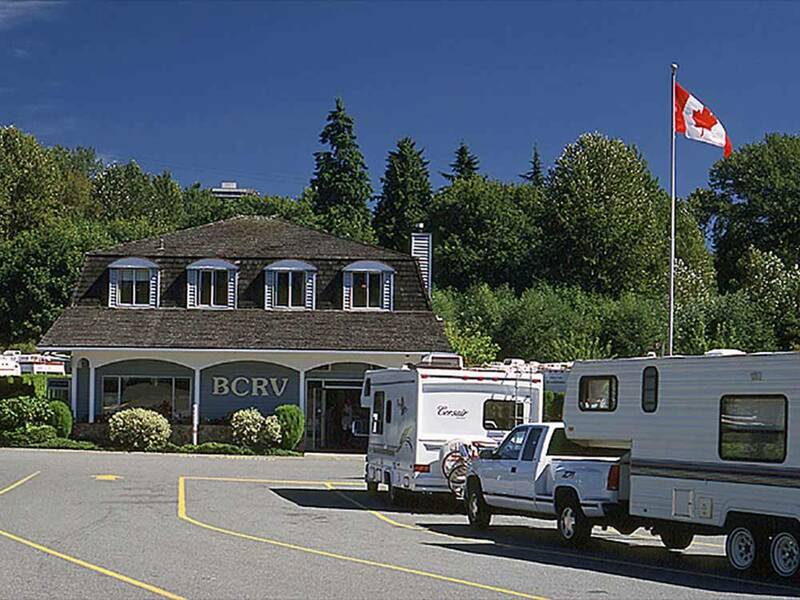 BCRV offers RVers and Campers an opportunity to enjoy Vancouver while nestled in a park like setting in a deluxe RV park with all amenities. Easy access to the city by rapid transit or tours. 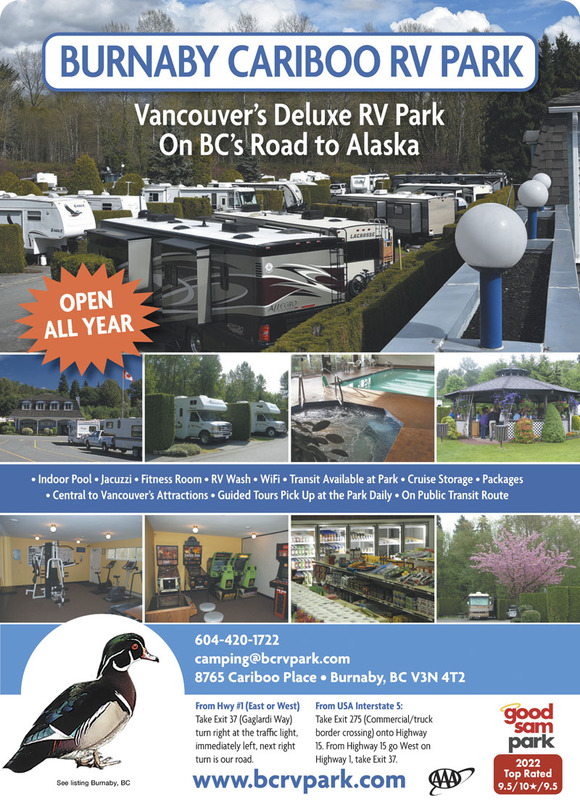 This is a large and high volume RV park given that it is very accessible to Vancouver. It’s a bit of a factory but they have nice facilities: indoor pool, spa, fitness facility, picnic area, etc. They have asphalt driveways and site pads that are in good condition. However, most of the sites are VERY tight, both length and width. We had a back-in site with 30amp electric, water and sewer. The back of our RV was pressed up against a large shrub and I had to crawl around on the asphalt in order to access some of our basement storage. There is a picnic table but there was no room for us to use it. Tow car parking is in a separate parking area. On the plus side, they have large privacy shrubs between the sites so you don’t have to stare into each other’s windows. WiFi is included through TengoInternet. You have 4 hours free per day in blocks distributed through a 24 hour period. Weird but it was reliable and responsive. There is a large city park next door with plenty of walking paths. Premium price due to the location, we paid $53 USD per night. Nice clean park close to a great trail system. paved sites, pool, laundry. All back in sites BUT... 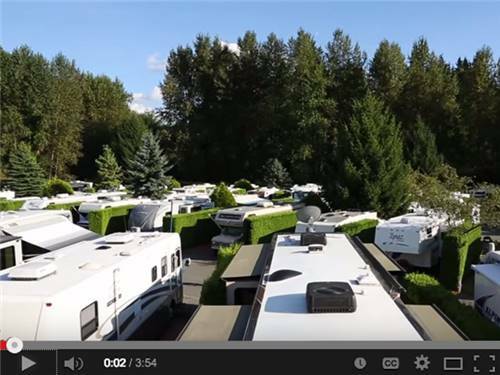 Narrow sites for RVs with slides, 30 amp , lots of mice/rats. Had our car wiring chewed as did a friends. Management just shrugged their shoulders. This park is only 3 cats and a little site juggling away from a top park. Nice place, bad location. Train that runs by the place shakes the motorhome at all hours. Major road noise from the nearby busy road. Cable doesnt work and the attendent said your on your own as to why plus no digital signal in the area for TV. WIFI is the worst we have ever seen even when it does work. Clean campground, nicely landscaped. We have a 28 ft travel trailer with a slide and the site was too small. Put out our awning and it was in the hedges. The slide was up against the other hedges on the other side. We had to disconnect our truck as the site was small.